With April declared Earth month (observe Earth Day on 22 April) it is the month to celebrate all things living and green. For travellers, there’s never been a more active call to travel healthy and mindful of the world around us. And that means what you eat along the way, too. From home-grown regional flavours to community-centred foodie experiences, sustainable travel has never been more delicious. Here are five tasty experiences the earth-conscious traveller can look forward to. 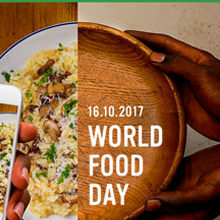 ALSO SEE: What Is The Planetary Health Diet? It’s hard to imagine another place in the world where such interesting, mouth-watering and totally unforgettable food is as accessible than Southeast Asia. 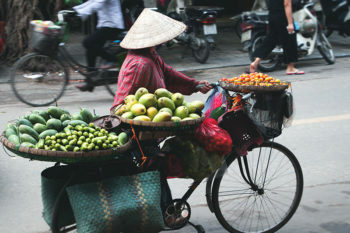 For culinary travellers, the star of the show has to be trendy Vietnam. The best way to experience it is on the streets. At the street markets of Hanoi, try pho ga (chicken pho) and bun cha (succulent grilled pork and noodle), rice paper pizza and crispy Vietnamese pancakes in Ho Chi Minh. In lantern-lit Hoi An, indulge in the famous white rose dumplings (filled with pork, prawn or vegetables) and more-ish Cao Lau noodles. Join a tour guided by locals to hunt out the very best, hidden gems. If you’re in Hanoi, add KOTO Restaurant to your itinerary. A hospitality and cooking training centre, the non-profit organisation empowers disadvantaged young people by teaching them cooking and hospitality skills. 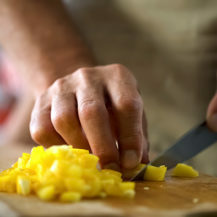 A cooking class is a must for every foodie no matter the destination. Whether that means learning how to make Polish dumplings in Kraków or a traditional tagine in Morocco, a local cooking class is one of the best ways to immerse yourself in any destination and support its locals. In Tuscany, Italy’s golden foodie region, roll up your sleeves and get your hands dirty as you learn to make lunch in a traditional Chianti kitchen with a local chef. 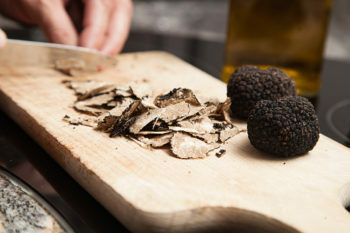 Embark on a truffle hunting expedition through the south-west of France, one of the top culinary regions in the world. Apart from the oysters and wine (just think of those delicious Bordeaux reds), sipping and nibbling your way through this corner of France, through rural villages and castle-topped countryside, is hard to top. Hunt for truffes noires (Black truffles) in the Vezere Valley, with guides to give you lessons on how to spot the rare delicacies. Trust us, it’s more tricky than it sounds! Don’t miss market day in the local villages, either. Each village has its own designated market day. You’ll get to sample a variety of the freshest, regional produce in a truly atmospheric – and authentic setting – mingling with the locals. Puglia, the southern region forming the “heel” in Italy’s boot, is the perfect place to take it slow and dine on slow food. 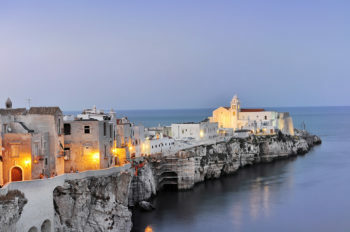 For cheese and wine lovers specifically, Puglia is paradise. 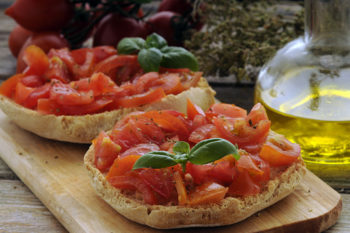 Savour smooth burrata, mozzarella and other artisan cheeses in the port city of Bari. Visit olive groves and oil mills and learn about this process from the local artisans in Martina Franca. Brave a try of sea urchins in the salty, Mediterranean air of Porto Badisco and in Gallipoli, rise early and head to the seafood markets where you can sample shrimp and shellfish, literally straight off the boat. In the old town of Nardò, sip their famous red wines and toast to your deliciously slow culinary journey. You can’t visit England without trying good ol’ fish and chips. With an international reputation, Rick Stein’s Seafood Restaurant in Padstow, Cornwall, is more than just your average chippy (local fish-and-chip shop). The town of Padstow is situated on the north coast of the rugged Cornish coastline, fringed with sandy beaches. 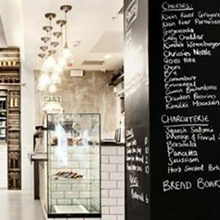 It is here that Rick Stein, English celebrity chef and restaurateur, chose to open his restaurant. 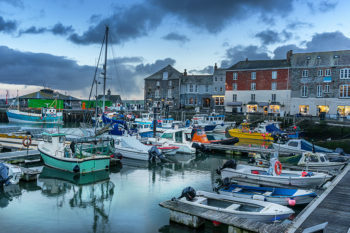 Still a working port town today, Padstow has become a renowned foodie destination. Flavoured by its rich fishing heritage, sample the best of Padstow’s cuisine at the restaurant where head chef, Stephane Delourme, whips up classic, locally-inspired seafood dishes using Rick’s recipes. Reserve a seat at the seafood bar in the middle of the restaurant where you can watch the chefs work their magic on the fresh seafood, hauled straight out of the salty ocean onto your plate. 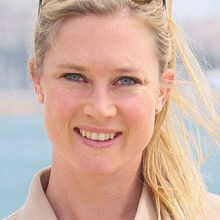 Try the oysters, langoustines and sashimi, and the famous hot shellfish platter. There are so many unique foodie experiences around the world that you don’t want to miss. 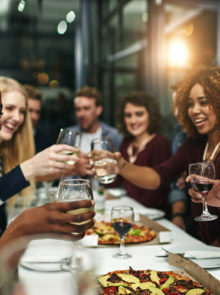 Whether that’s visiting a famous restaurant, taking a cooking class or embarking on a culinary experience unique to the region, consider your culinary to-do list when planning your trip. The world is your oyster. Really.